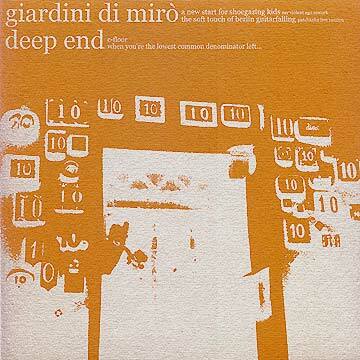 Giardini Di Mirò, possibly Italy’s best known instrumental rock band, graces us with a shoegazing My Violent Ego rework of one of their classics (A New Start) and a blazing instrumental live version of a (then) future classic (The Soft Touch of Berlin Guitarfalling). Deep End beats all reasonable expectations with its most ambitious music yet: longer timing, tighter musicianship and more complex song structures. Two amazing dilated indie-rocking jams. Dub without the bass.